This good-looking (sorry if it's sexist to say that!) Japanese keyboardist-composer is said to be one of the latest comets in the jazz world. Here she's teamed with a bassist (Anthony Jackson, plays electric bass) and a drummer I believe many of us know: Simon Phillips, who comes entirely from the rock world as far as I know. Also Hiromi uses electric keyboards here and there, and one can sense some rock in the trio's playing. The term power trio has been used. 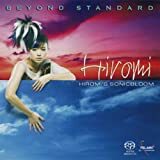 Hiromi herself is a virtuoso with influences both from classical music and prog such as King Crimson and Frank Zappa (according to her artist info page here). 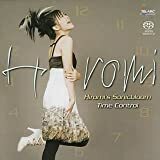 Compositions are Hiromi's except the final track which is an adaption of Beethovens' "Pathetique" Piano Sonata. Maybe I had some trouble digesting this album. Piano trio is definitely one of my favourite things in jazz, and I also enjoy Fusion. But somehow I prefer to keep them separate. 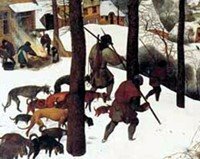 I'm used to hear wider choice of instruments in Fusion (guitar, electric violin, trumpet, whatever), and from a piano trio I expect more delicacy and emotion. That is, while I certainly sensed the power and skill in this trio, the music left me rather cold. It's complex, intense, energetic and at times even fiery. I may want to listen to her other albums with other line-ups, but I admit this particular album didn't become one of my favourites from recent years. 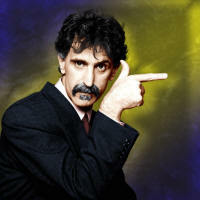 However I believe many of those PA readers who listen to jazz too, might want to lend an ear. This album is great. 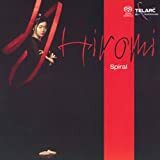 I like all of Hiromi's albums, but this one, along with her classic album "Time Control", is among the best fusion albums you'll come across this side of the 21st century. Besides the fact that she is a virtuoso pianist, she also knows how to write a tune, catchy melodies, and top that off with some of the best jazz piano playing ever. She does dabble with keyboard sounds on all her albums, this album is no exception. Thing is, don't expect too much, as this is mostly a piano-dominated record, with bass and drums backing her up. But as I said, her piano playing is great, and there are some tracks that are just so beautiful, it may make you cry ;) Cuts like "Temptation" really bring out her soul and contain some gorgeous playing from her. But this is a fusion album, and the record starts off with the title song, in progressive rock fashion, piano riffs galore. The next track is a reprise of a tune from her other masterpiece album "Time Control", something she's been doing for most of her catalog. So she has the 'rock' mentality for sure, she just doesn't need guitars or keyboard effects to achieve what she needs to. I will admit, I do somewhat miss her quartet that is on Time Control and Beyond Standard, but since this is labeled as a "Trio Project" hopefully they'll return on a future album. Get this album, one of the best modern jazz/fusion albums, and nice to hear such a good album coming out in a year like 2011. 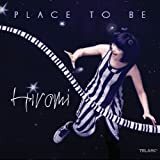 This album saw Hiromi debut her current recording unit, the Trio Project, with Anthony Jackson and Simon Phillips joining her on bass and drums respectively. Naturally, the spotlight is largely on Hiromi's piano and keyboard performances. Whilst subsequent albums would have a more prominent progressive rock influence, here it seems scaled back somewhat, the band focusing on delivering what comes across as an ECM-style jazz sound with enough fusion influences to avoid things becoming excessively dry. It's a good listen, but the unit would undertake more ambitious excursions on later albums, and is therefore worth a listen eventually but doesn't need to be your top priority when it comes to exploring Hiromi's work. Post a review of HIROMI UEHARA "The Trio Project: Voice"